another one from alexanderplatz. i took this one just a few hours ago. 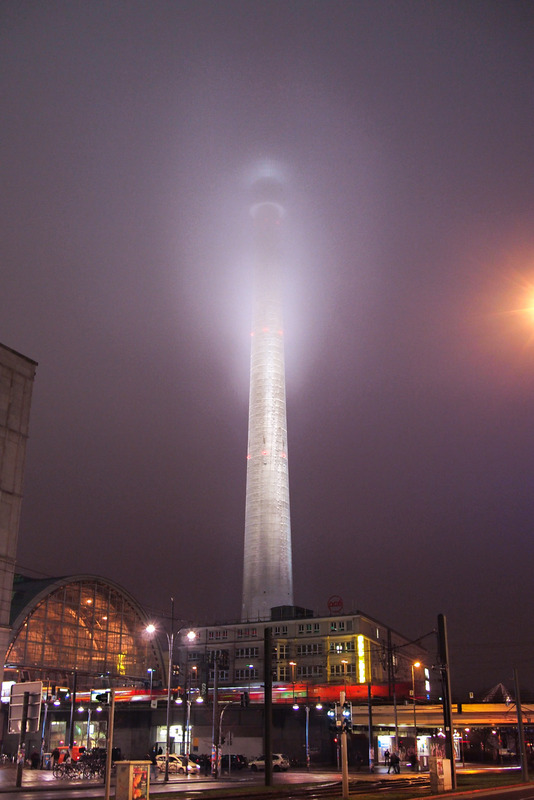 i always find it fascinating to see the fernsehturm disappear in the mist like that. 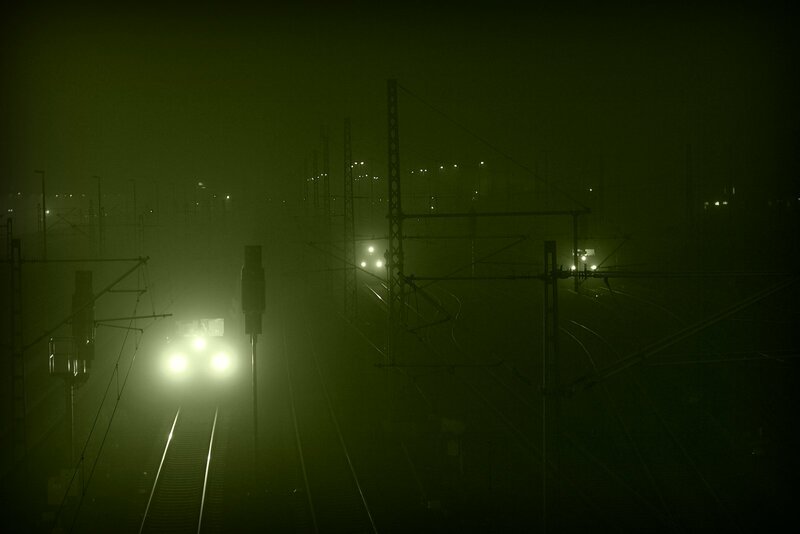 three trains waiting in the autumn mist at beusselstrasse, berlin.